Qantas is the world’s second oldest airline. Founded in the Queensland outback in 1920, it is Australia’s largest domestic and international airline and is recognised as one of the world’s leading long distance carriers, having pioneered services from Australia to North America and Europe. 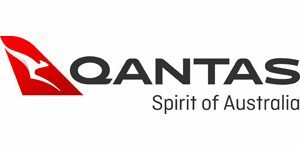 Last financial year Qantas carried more than 41 million passengers across a network spanning 182 destinations in 42 countries in Australia, Asia and the Pacific, the Americas, Europe, the Middle East and Africa. selected services between Melbourne and Los Angeles and Sydney and Melbourne to London via Singapore. The aircraft is configured with 450 seats – 14 in First, 72 in Business, 32 in Premium Economy and 332 in Economy. Qantas operates seven B747-400 services per week from Frankfurt and 28 services from the U.K. to Australia (B747-400 and A380) and provides connections to an internal network of more than 59 cities within Australia. Qantas continues to invest in new aircraft, aircraft enhancements and infrastructure. From February 2011 Qantas also offers Premium Economy Class onboard the daily B747 services from Frankfurt.